Reactor 40 for steer-by-wire provides robust autopilot capabilities for Yamaha Helm Master systems. With a complete package designed for powerboats and sailboats, Garmin brings an advanced marine technology to the boating public that was once only available for commercial boats. 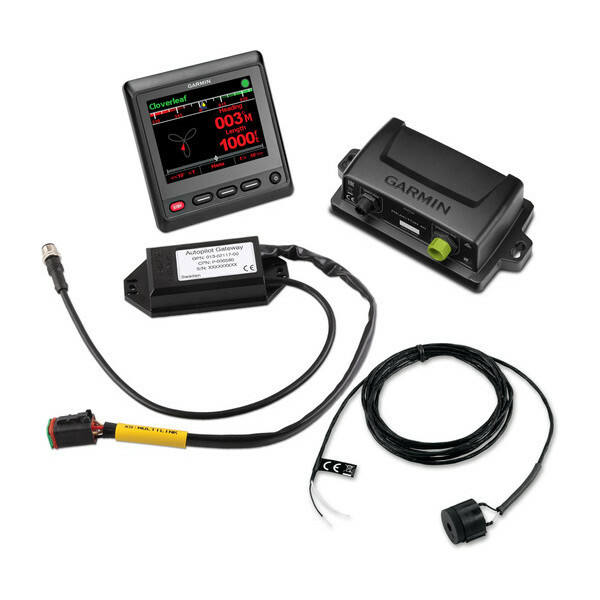 The Reactor 40 autopilot series is simply the most responsive autopilot system we have ever offered. The Reactor 40 autopilot is operated using up to 3 GHC helm control units. GHC communicates with the autopilot system via your NMEA 2000 network, so autopilot heading data can be shared easily with other devices. This enables MARPA and chart overlay when connected to a Garmin chartplotter. An optional handheld wireless remote control is also available; however, for the highest level of convenience, control the using a compatible quatix 3 or quatix 5 marine multisport smartwatch.